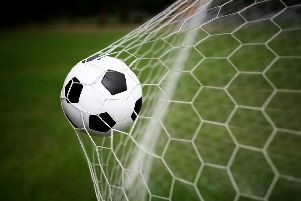 Selsey slipped up at home to Langney while Midhurst had to settle for a point against Mile Oak. Here are the latest SCFL division-one reports from the High Street Ground and the Rothefield. The footballing Gods are certainly not smiling on Selsey at the moment and the Blues crashed to their third league defeat in a row. Selsey started well and should have been in front within ten minutes with Morgan Forry having two excellent chances but failing to score. The home side were made to pay on the quarter-hour as confusion between skipper Rob Madden and keeper Warren Boyt allowed the visiting forward to nip in between them. As he went past Boyt he was hauled to the ground, leaving the referee no choice but to send off Boyt and award the visitors a penalty which was scored by Paul Rogers. Selsey rallied after conceding, striking the post when Jake Goulding burst through and fired goalwards. Goulding had another great chance to level but made a mess of his header. The Blues changed formation and personnel at half-time and continued to dominate possession and create chances, Goulding again going close by hitting the post after good work from Ben Dines. Substitute Ryan Hillier produced several dangerous crosses but the home side were wasteful in front of goal. When another cross from Hillier was met by the head of Joe Gromett inside the six-yard box, an equaliser seemed certain; however the visiting goalkeeper made an outstanding save to secure the points for Langney. Selsey visit Lingfield this Saturday. Midhurst had to settle for a share of the spoils at the Rotherfield. All the goals came in the first half and neither side quite had the quality to win it after the break. The visitors took the lead through Enzo Benn on 26 minutes but the Stags levelled through Liam Dreckmann six minutes later. Lewis Hamilton gave Midhurst a 2-1 advantage on 37 minutes but Karl Gillingham levelled things two minutes before the break. Midhurst visit Bexhill on Saturday.